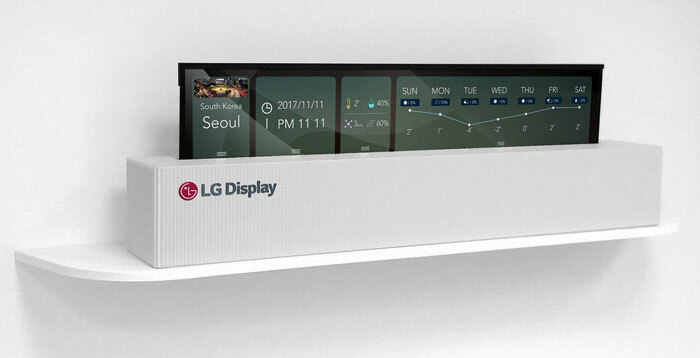 According to a report published by Bloomberg, LG is preparing a roll-up TV for sale in the coming year. 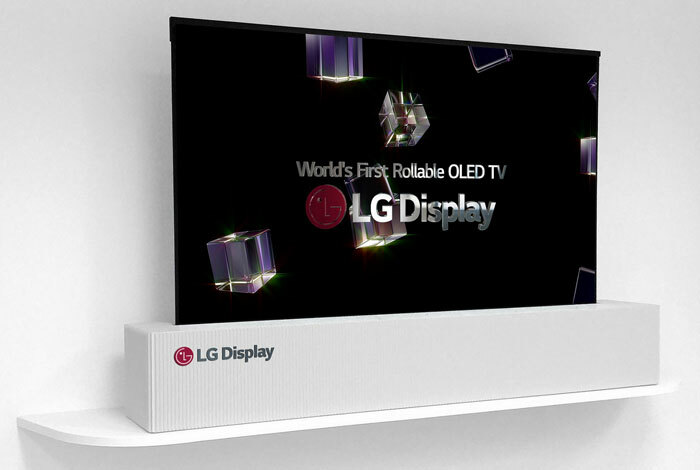 During 2019 we will see these new 65-inch rollable OLED TVs become available in an important innovative thrust for LG. Bloomberg says LG is "tying its fate in consumer screens to next-gen OLED," so its "ailing business" is at a make or break point. That doesn't sound a million miles away from LG's smartphone business. LG showed off these rollable screens earlier this year, and that's why we have the photos above and below, but insiders have tipped off Bloomberg that they will finally become shipping products in the coming year. The South Korean company has majored in OLED displays but TVs based upon this technology account for only 1.1 per cent of the market in 2018. On a positive note, sales of such TVs are expected to grow 70 per cent in 2019 to 2.35 million. A 'standard' LG made 65-inch OLED TV costs approx £2,000 in the UK and I would expect quite a premium for a roll-up version. On the topic of LG screen technology, the firm doesn't intend to jump on the foldable smartphone bandwagon when the brakes are taken off at MWC 2019. LG does have faith in 5G being a big selling point for its next gen devices though. It is likely to unveil a 5G mobile at MWC according to Bloomberg sources. Already LG has a contract in place for a 5G mobile backed by US mobile carrier Sprint for H1 2019. I like LG's innovation in releasing products but they need to improve on their warranty, especially for the small portion of OLEDs that do suffer from screen burn…. LG is “tying its fate in consumer screens to next-gen OLED,” so its “ailing business” is at a make or break point. Given how often their TVs seem to break, I'd guess they're looking at the latter of those two points! Good product for the motor yacht owner, though, as it frees up cabinet space in the saloon and smaller models will work well in bunked berth cabins. The crew might even get some, too! Would be nice to roll the tv up while using the VR headset….been a few close calls waving controllers about! I hope these will eventually come in 21:9 ratio. Because 21:9 is the next step in ratio, and I for one have been waiting for that day to come for a very long time.